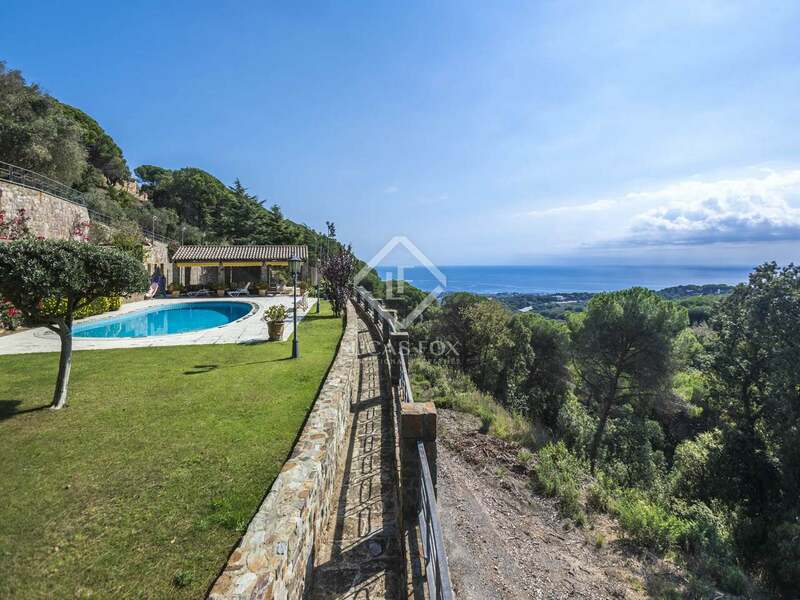 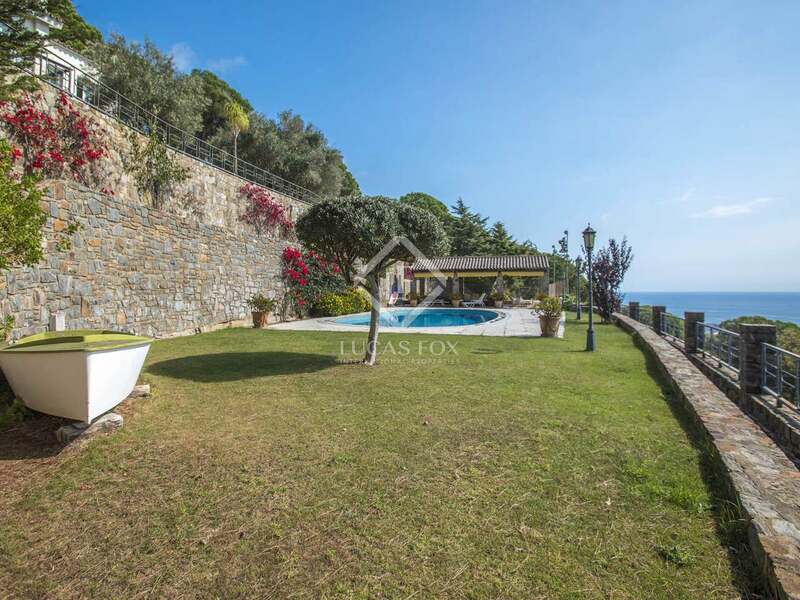 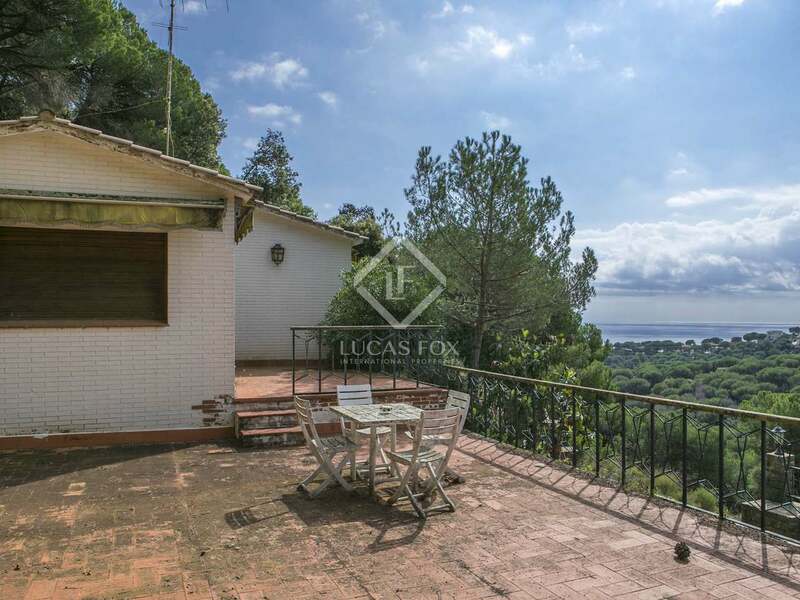 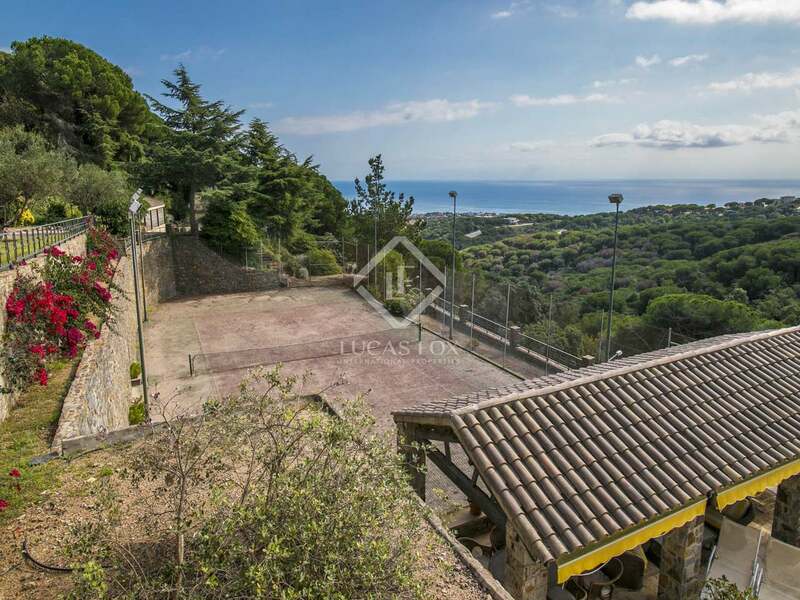 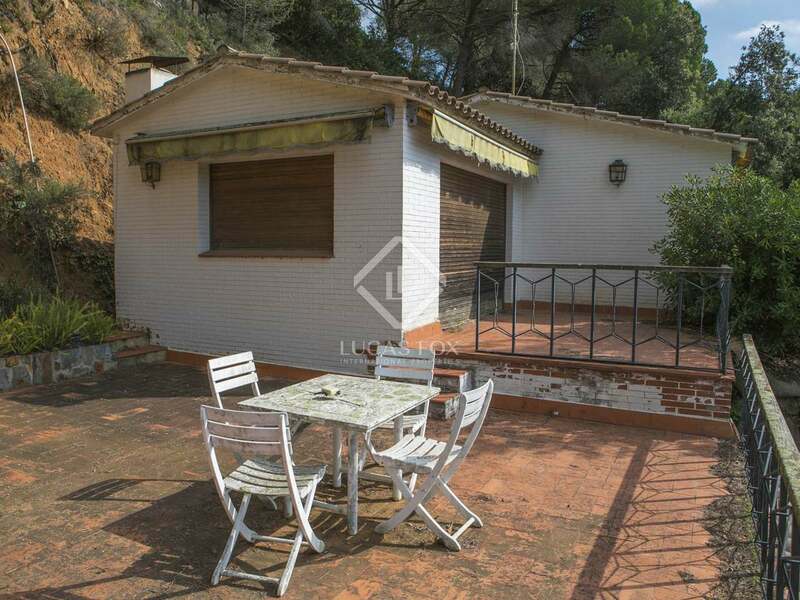 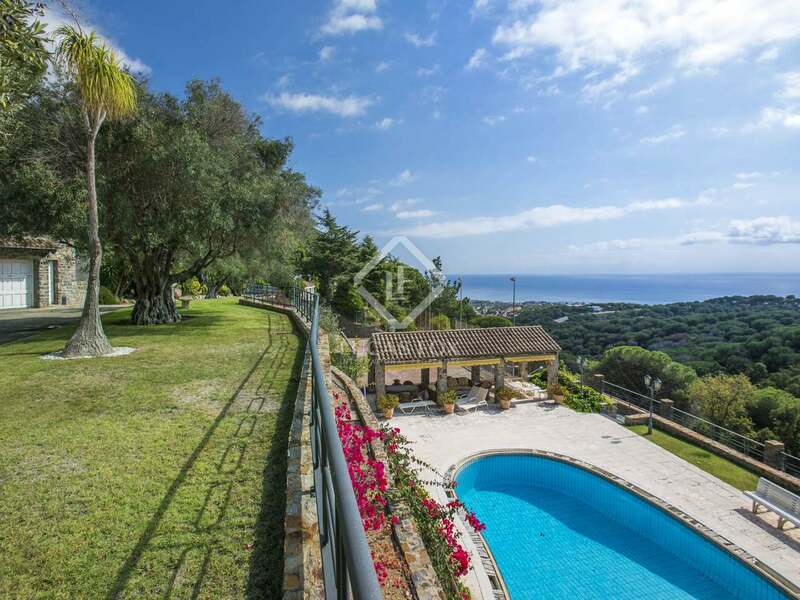 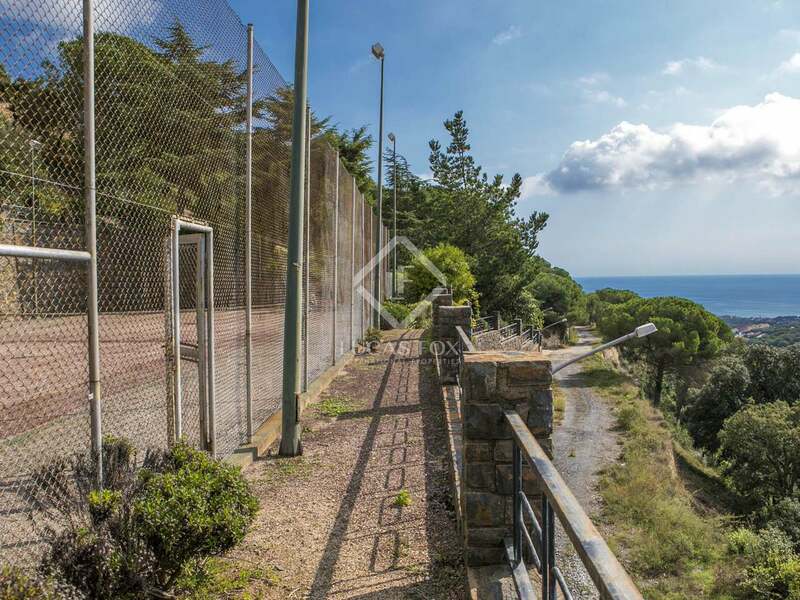 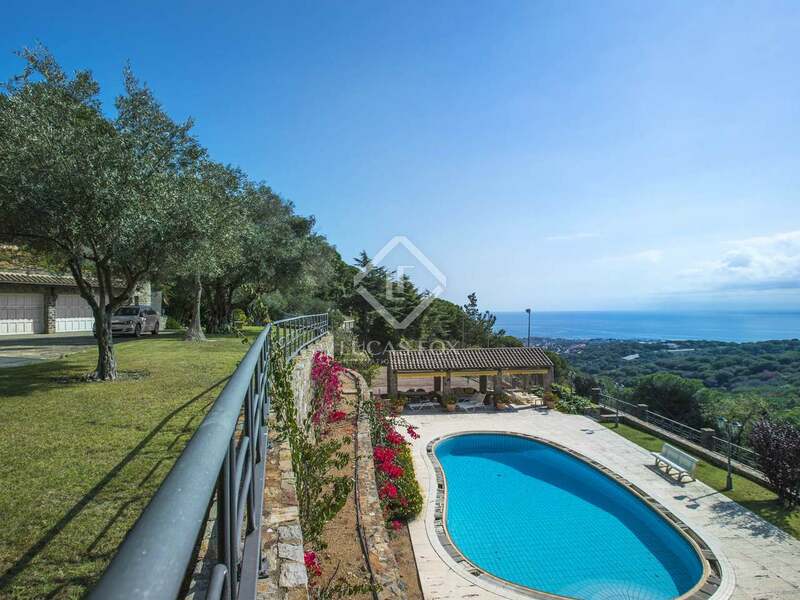 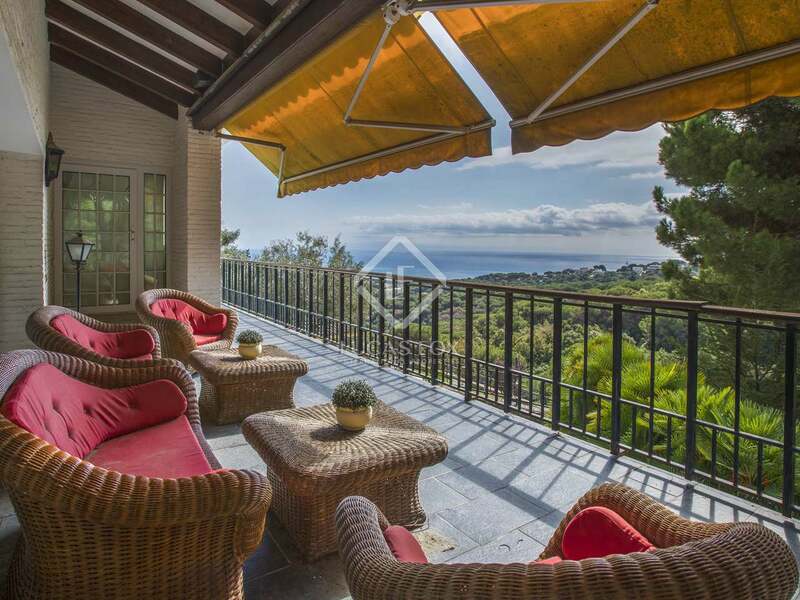 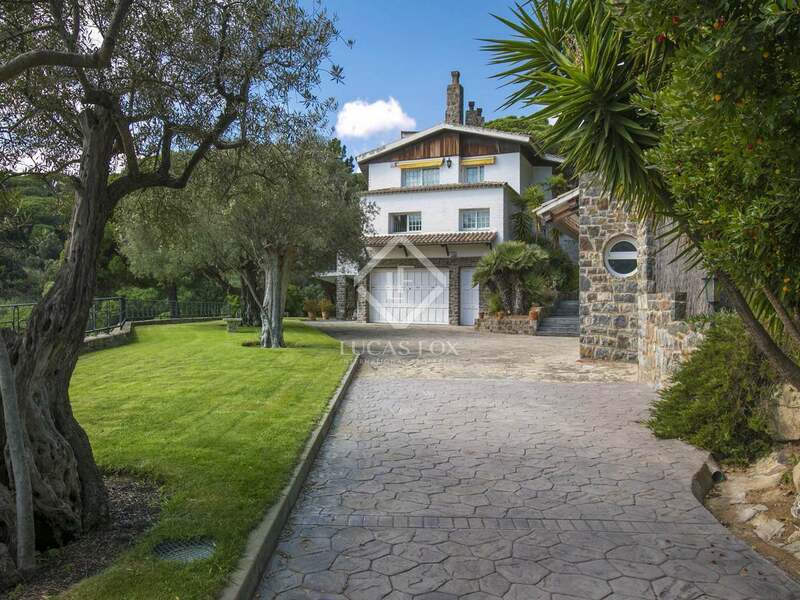 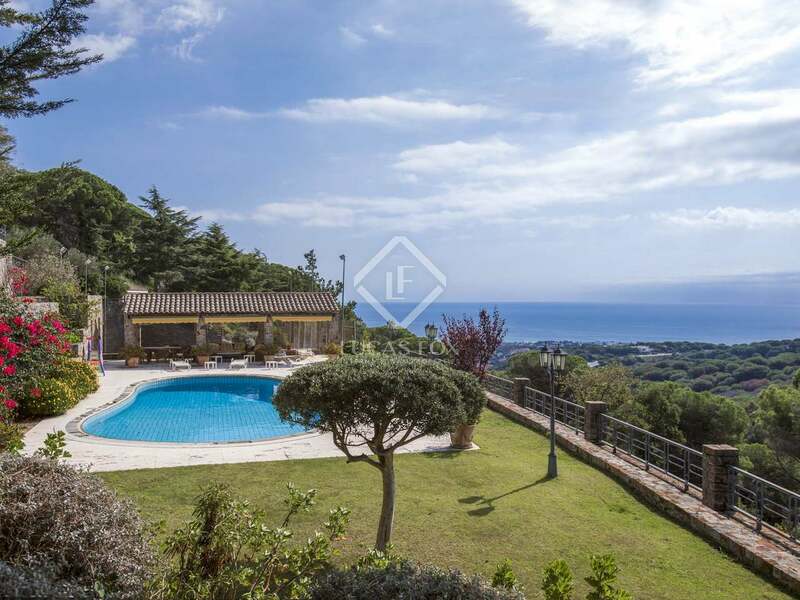 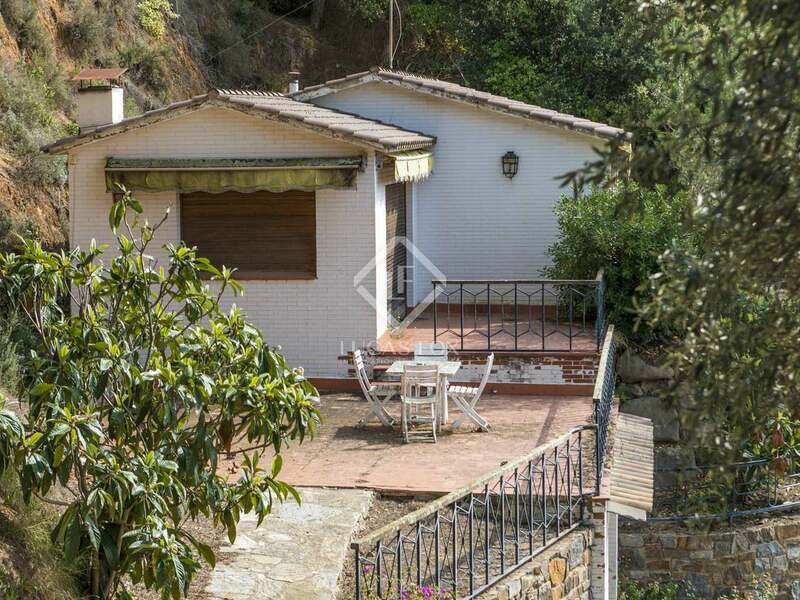 2 detached houses for sale on a large plot with sea and mountain views on a cul de sac that guarantees peace and privacy, 5 minutes from the amenities of Sant Andreu de Llavaneres and 10 minutes from the beach and train station. 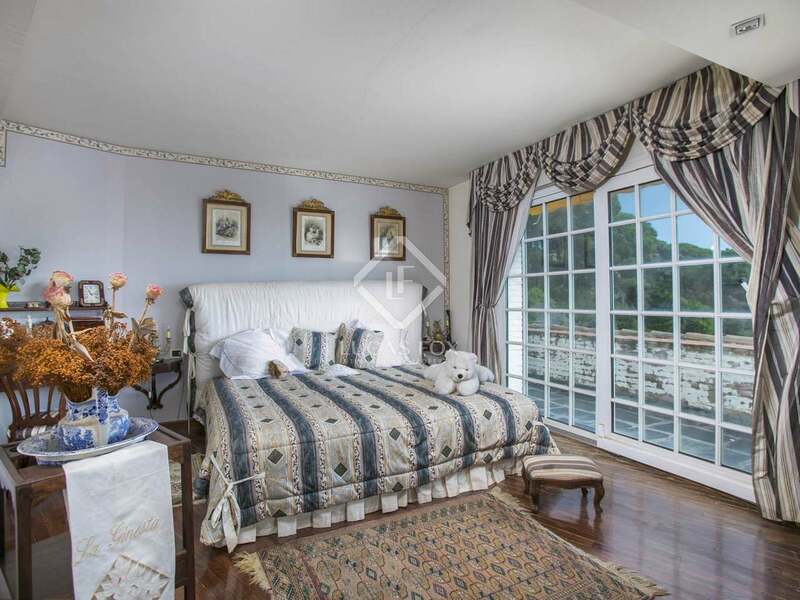 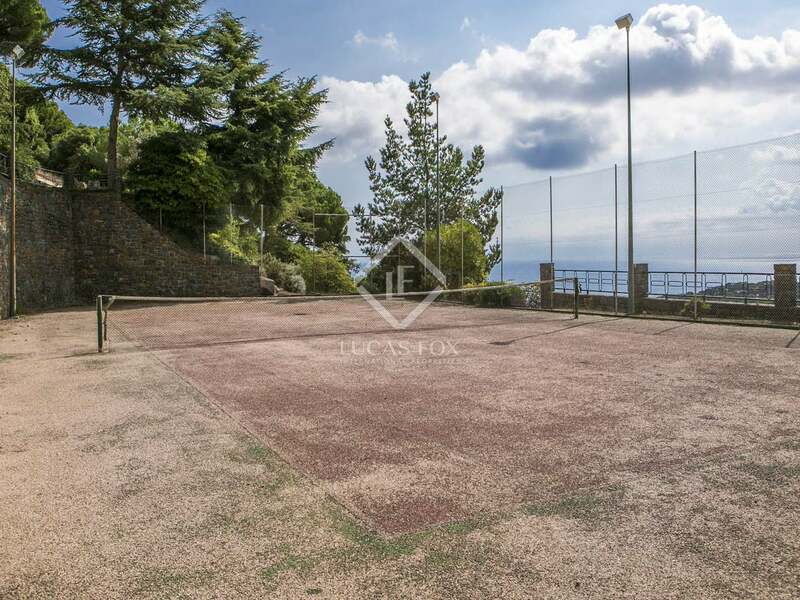 This sizable property boats very large gardens with beautiful views over sea and hills, the garden has a big dog house and a tennis court. 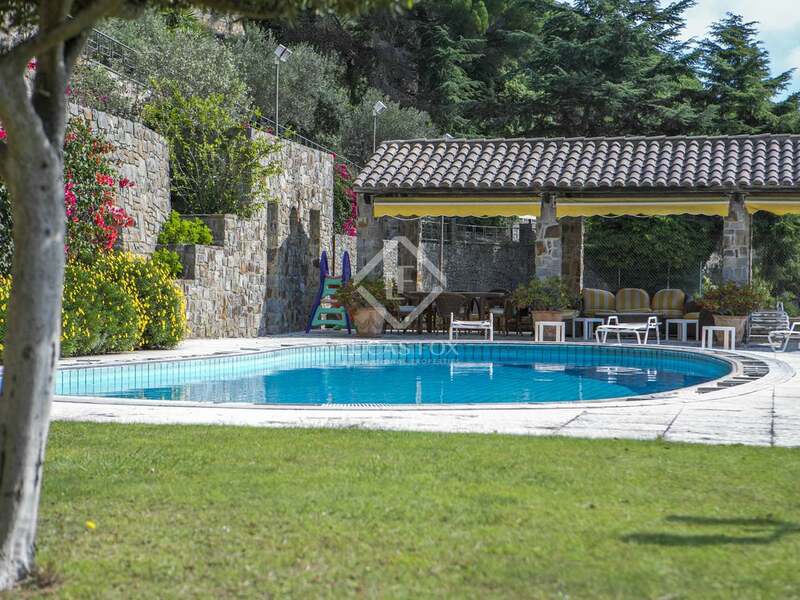 In a separate area you have a large pool with chill out area a summer kitchen and bathroom with shower for convenience. 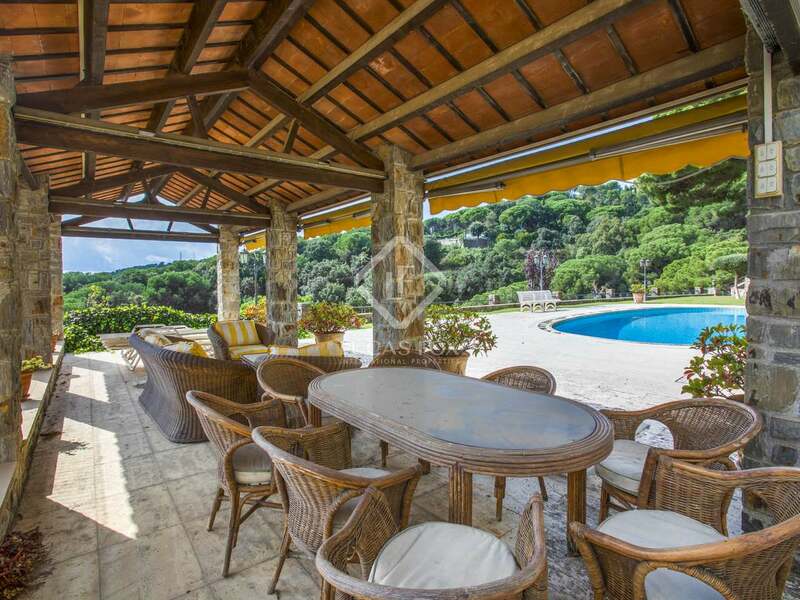 Also there is a stone barbecue area and several grand terraces. 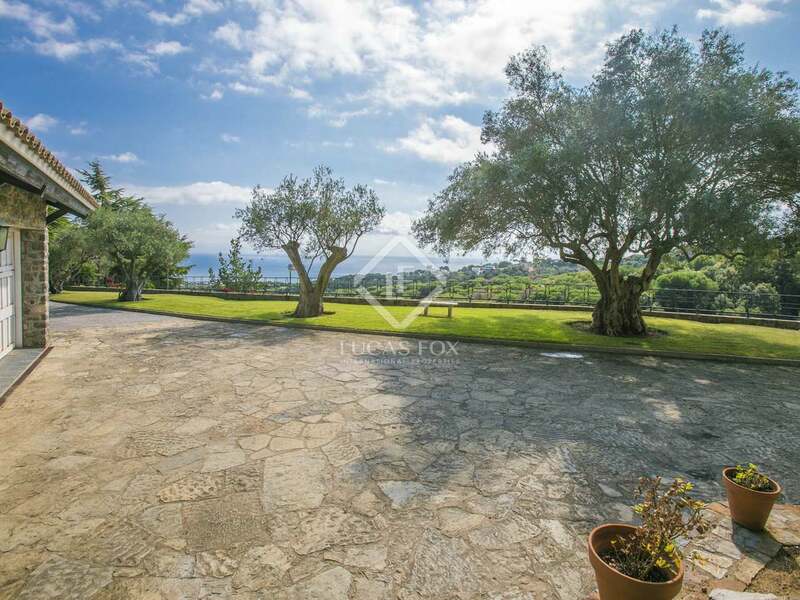 There is enough space for a lovely kitchen garden if desired and the whole outside area has a lot of greenery and olive trees. 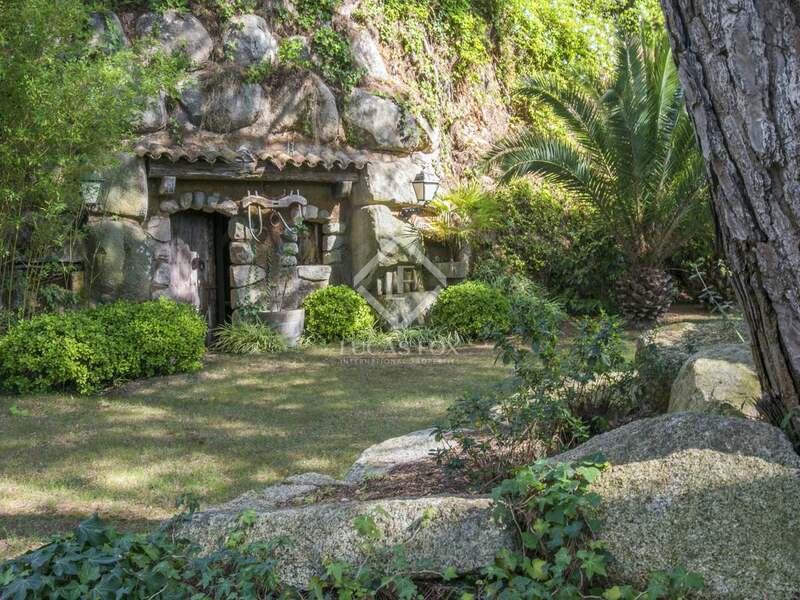 Build in the stone of the mountain is a rustic wine cellar and a decorative well in the garden is another unique feature. 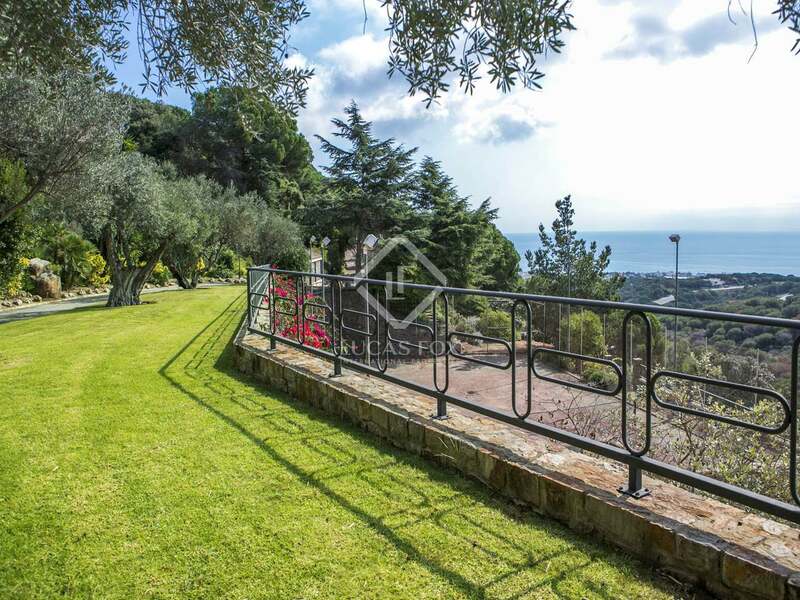 The whole outside area has an automatic watering system and light installations. 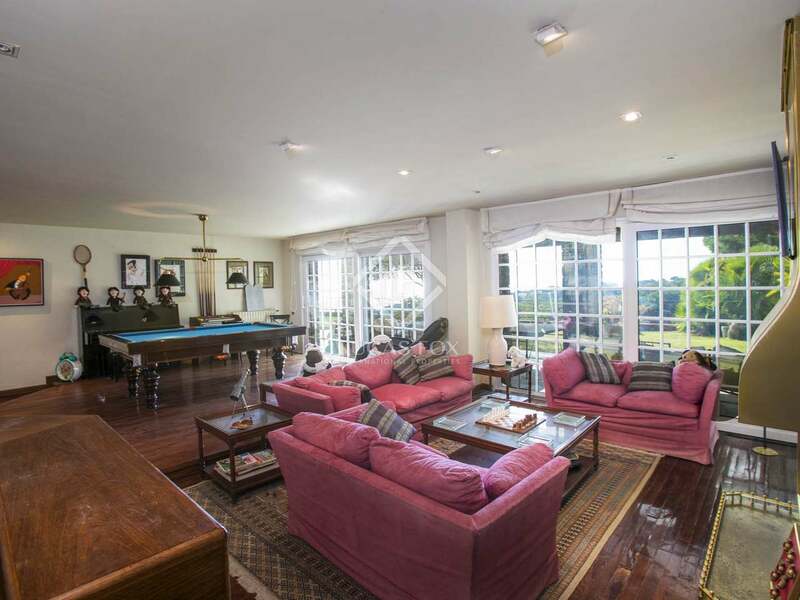 On the ground floor of the main house we have a utility room, play room/Salon with a fireplace and a bar, a bathroom with a shower and access to the porch and garden. 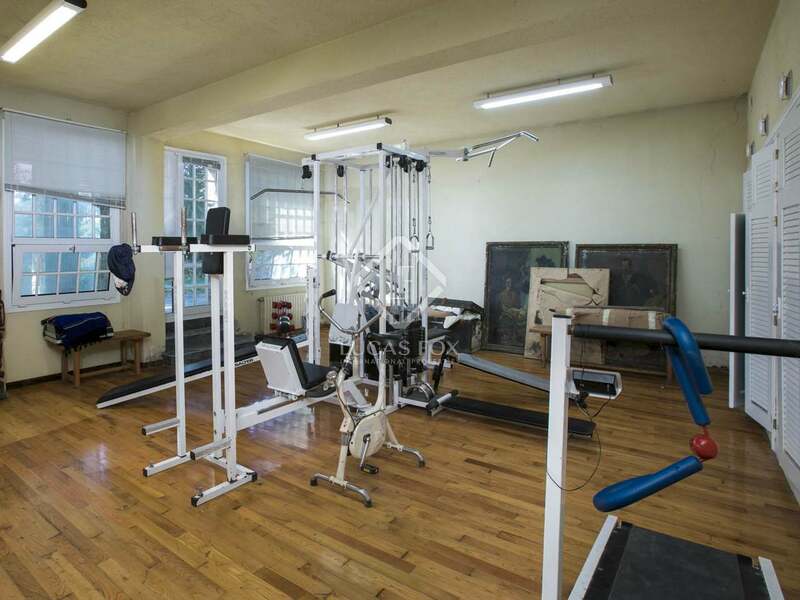 Also there is a gym with a jacuzzi bath, sauna and shower, also with access to the garden area. 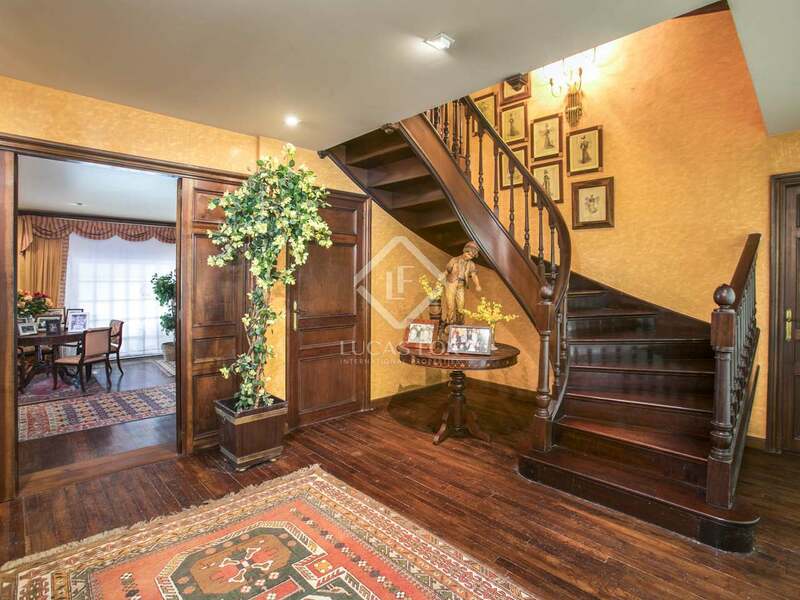 The main entrance door is on the first floor. 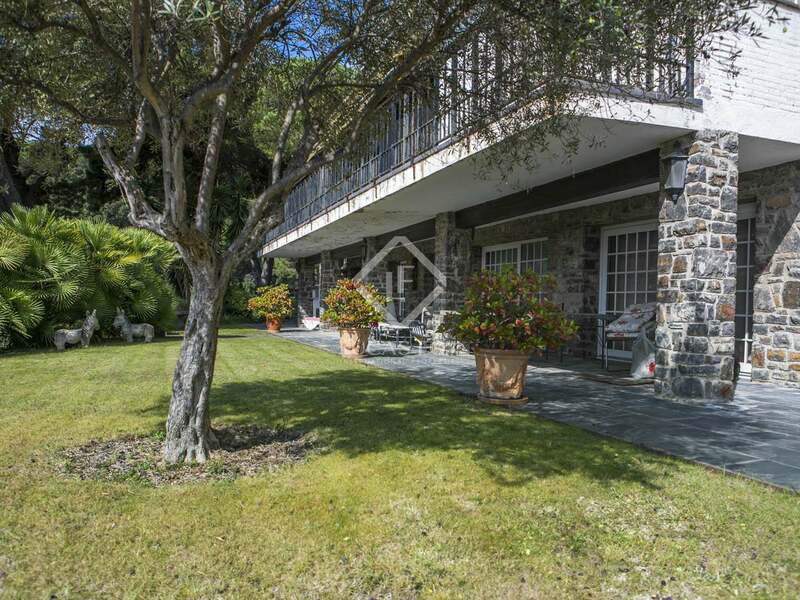 Entering the house we find the reception area leading to the living room with a separate dining area and a kitchen diner with a pantry, both with access to the garden and terrace with beautiful sea views. 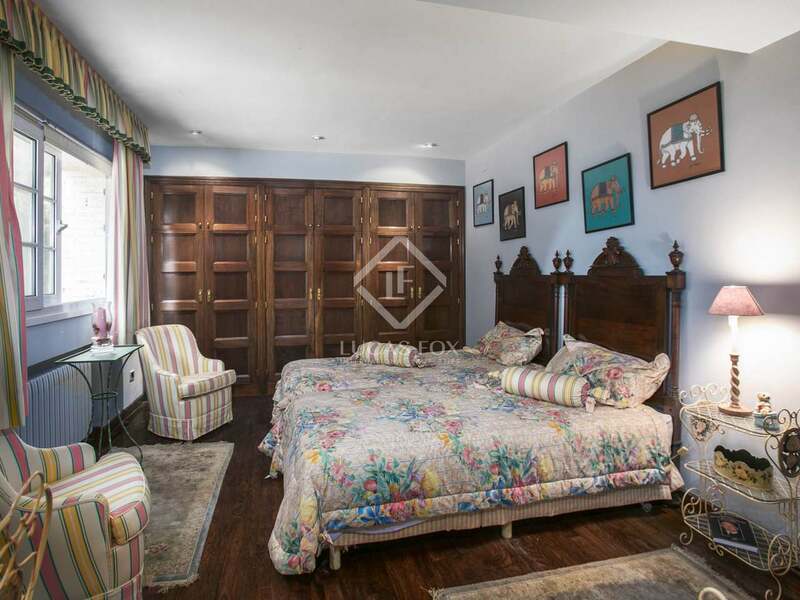 Moving on there is a service bedroom with a bathroom and a television room which can be an additional double bedroom. 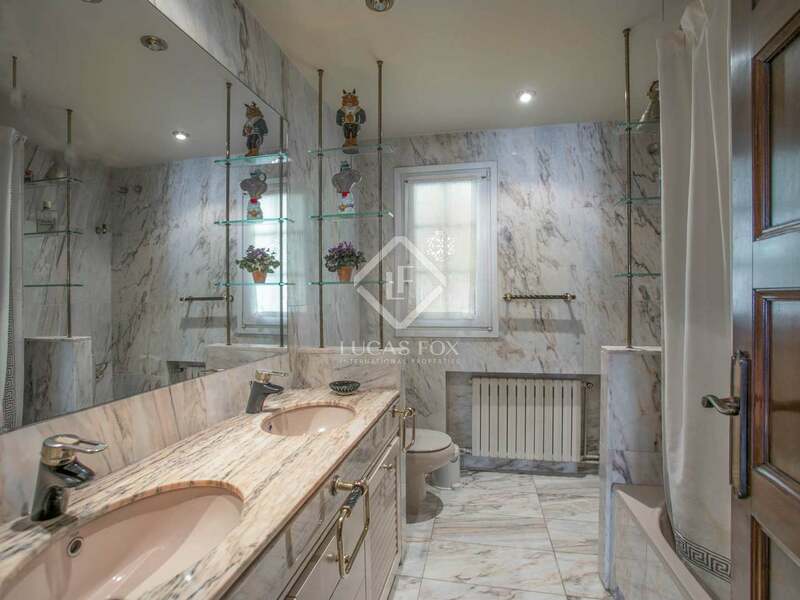 On this level is also a big en-suite guestroom with a bathtub. 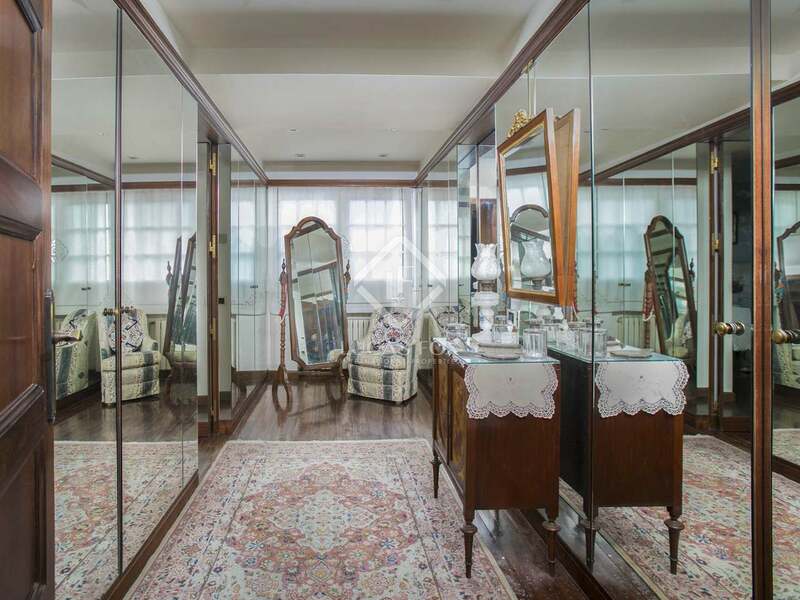 There is also a guest bathroom. 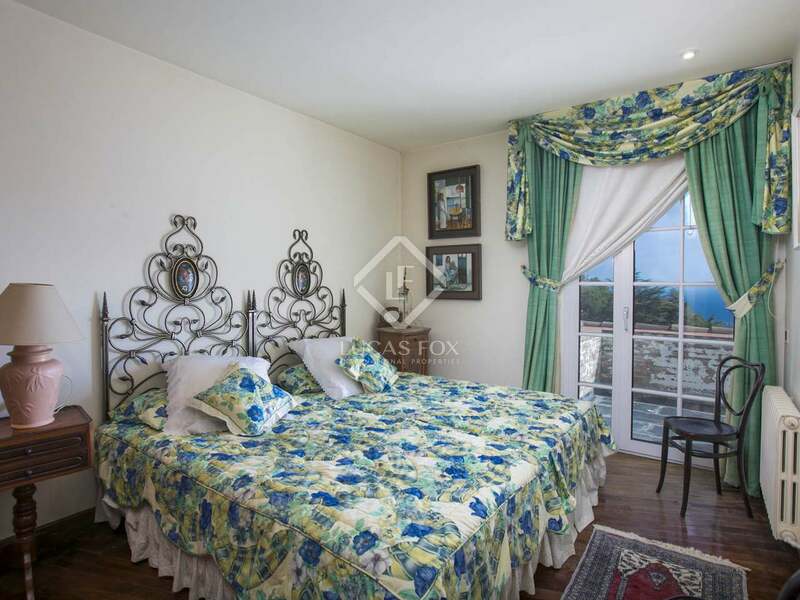 On the second floor we find 5 double bedrooms, 3 of those with en-suite bathrooms and 1 bathroom shared by the other 2 bedrooms. 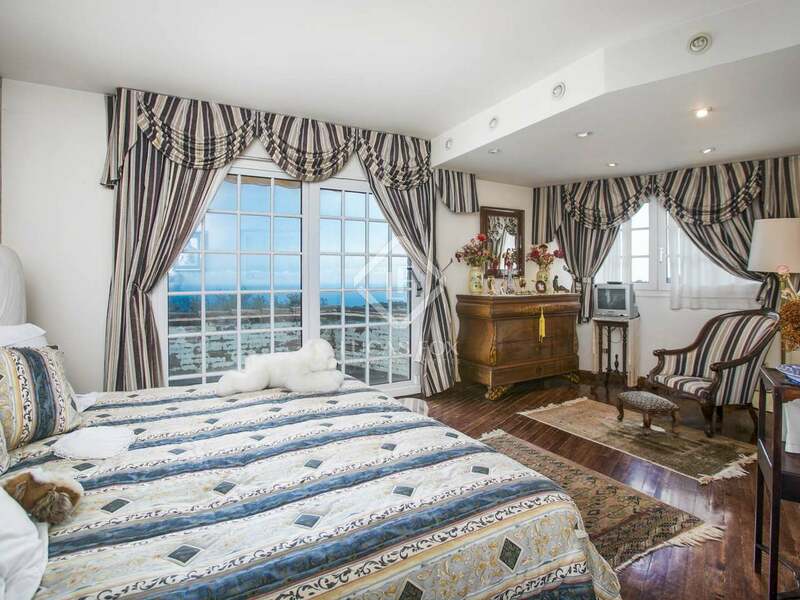 One of the bedrooms has a balcony and all of them have built-in wardrobes. 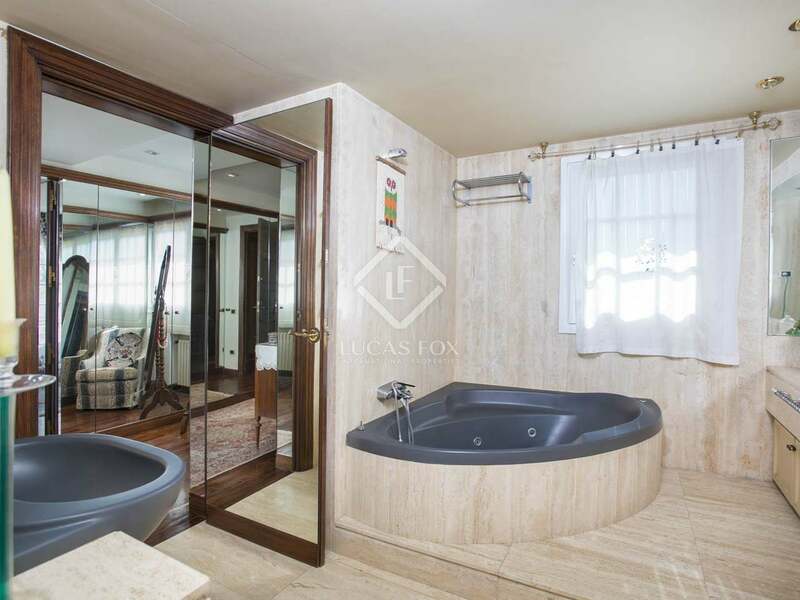 Also on this floor is the master suite with its jacuzzi bath and walk in-wardrobe and access to a balcony. 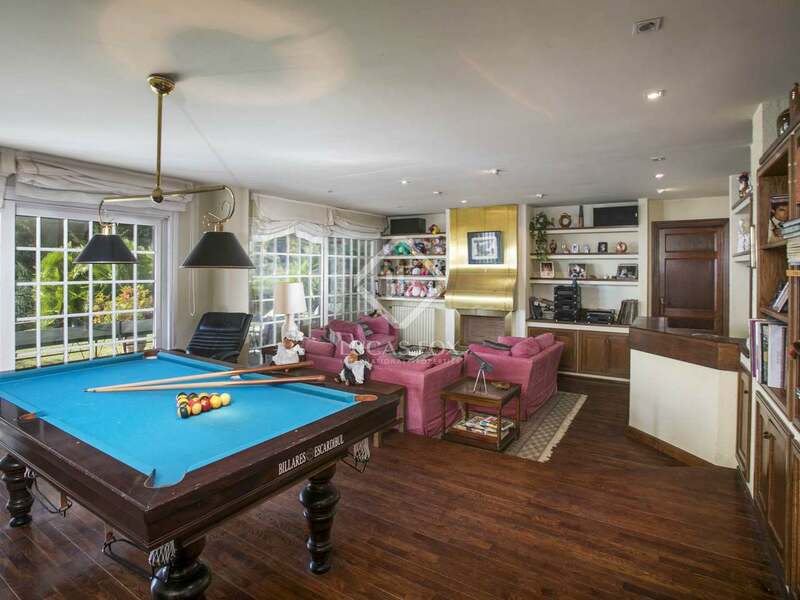 The third floor is occupied by the attic room with a bathroom, and can be used as an additional bedroom, lounge or study. 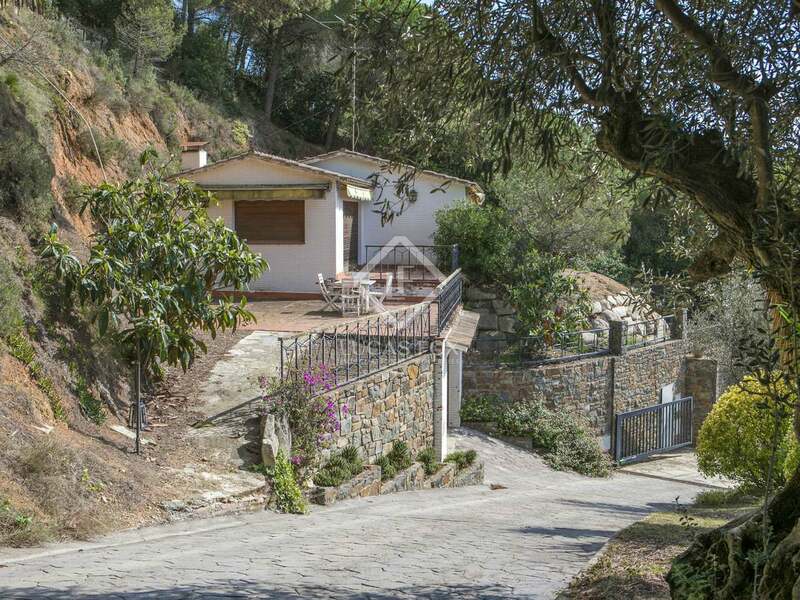 The smaller house offers 3 double bedrooms and 2 bathrooms, a living/dining room and a kitchen. 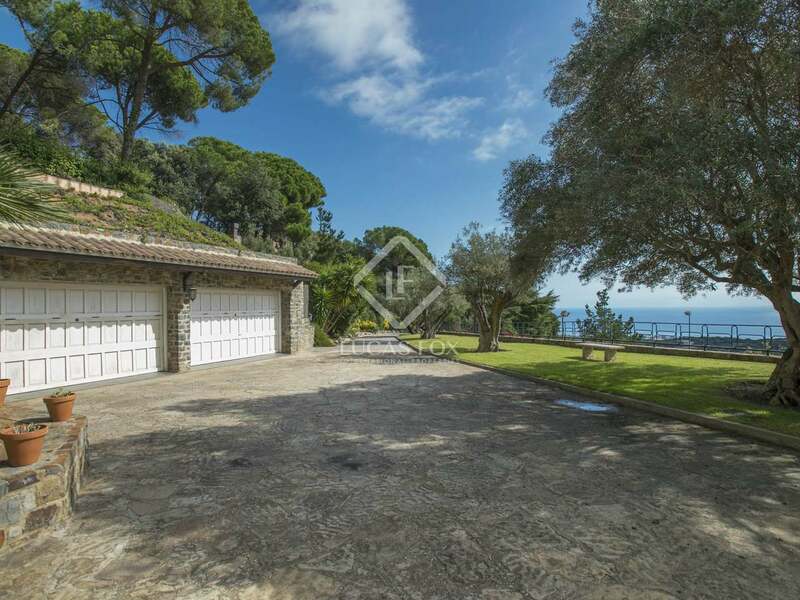 The main house has 3 garages with space up to 6 cars. 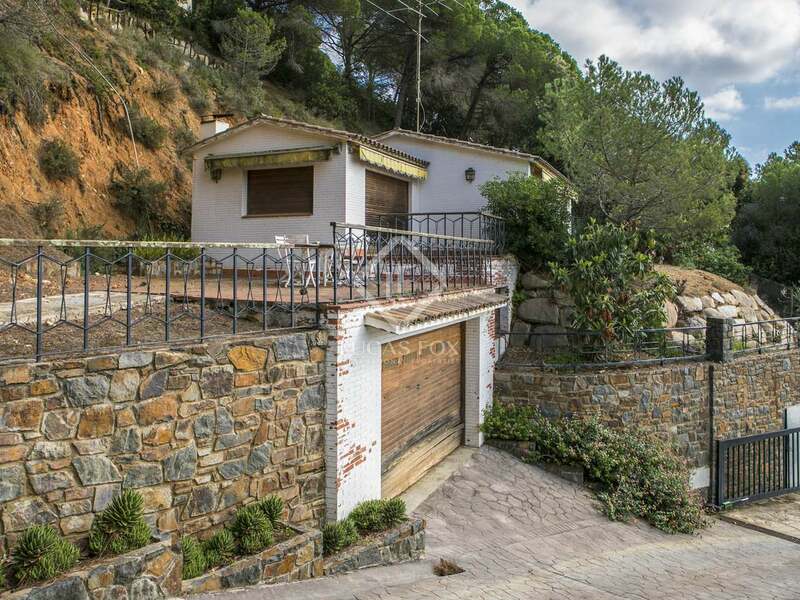 The smaller house has a garage for 2 cars. 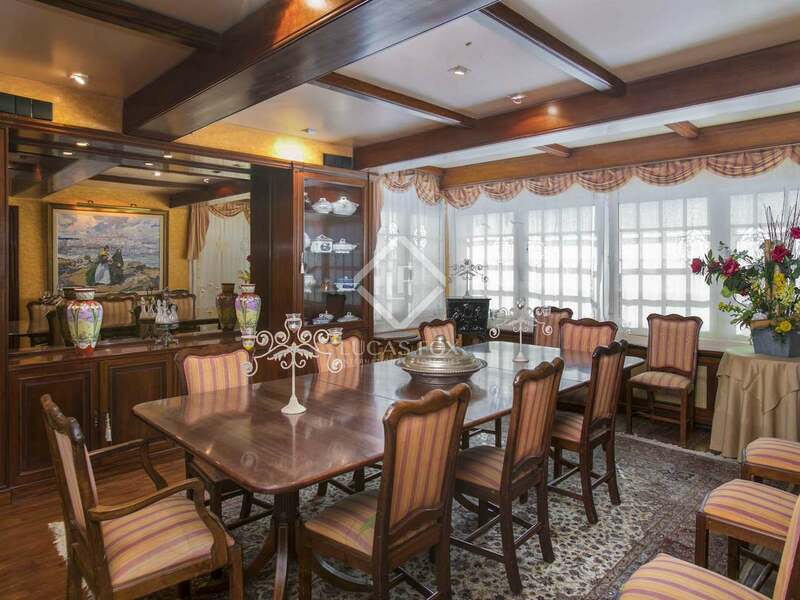 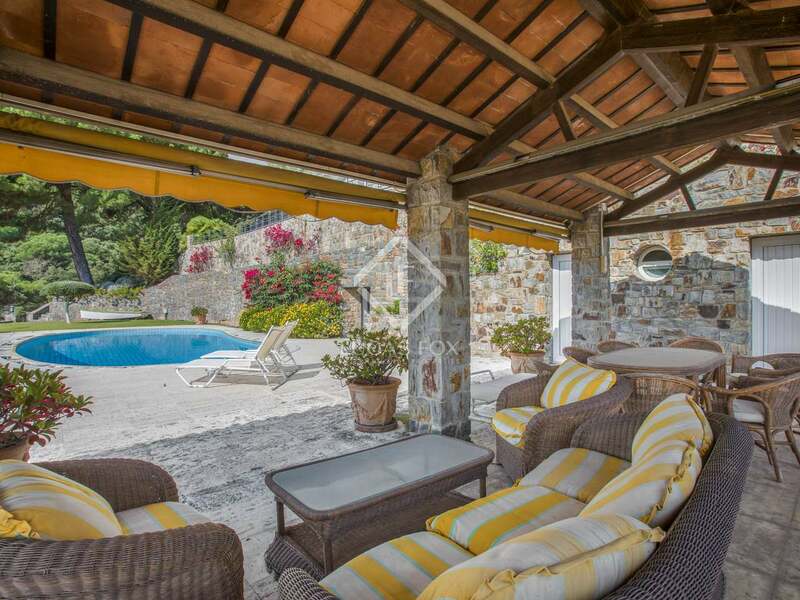 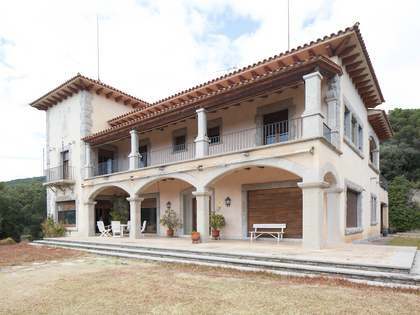 This would be a wonderful property for a large family with pets and equally suitable for investors as it could be transformed into a wedding or event location with good rental yield as there are 2 separate houses which can generate double income and can be rented out individually or together. 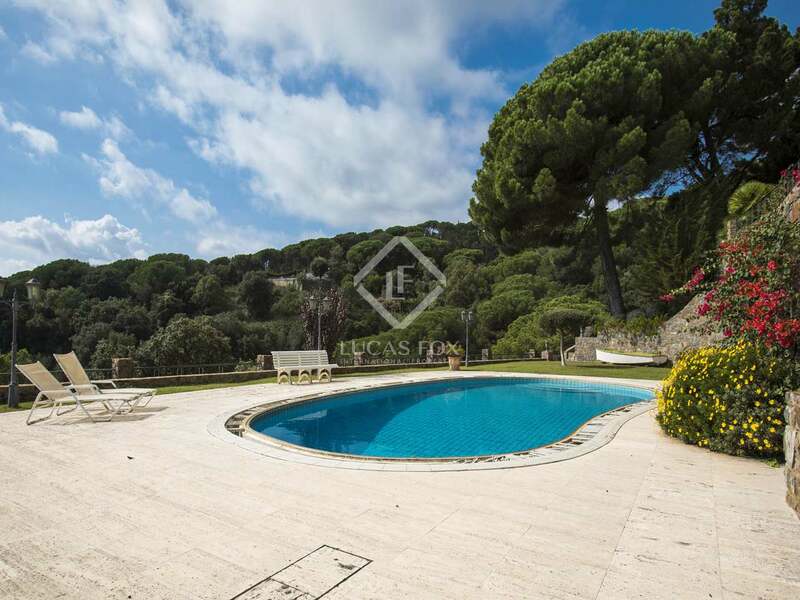 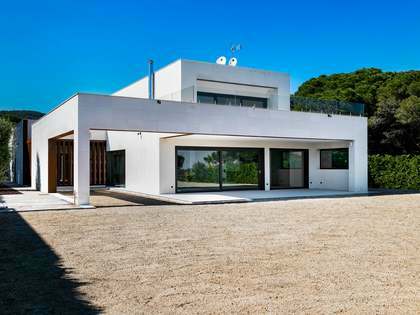 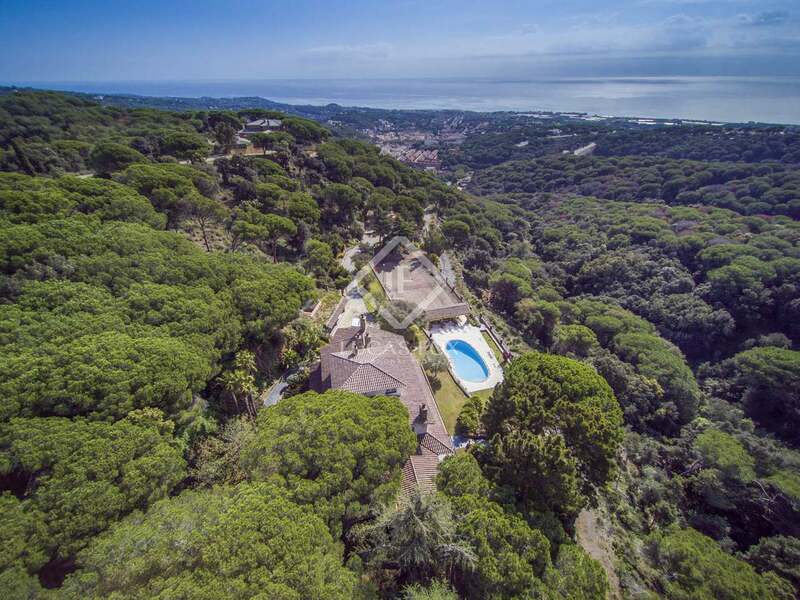 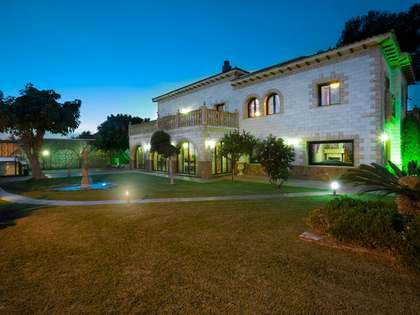 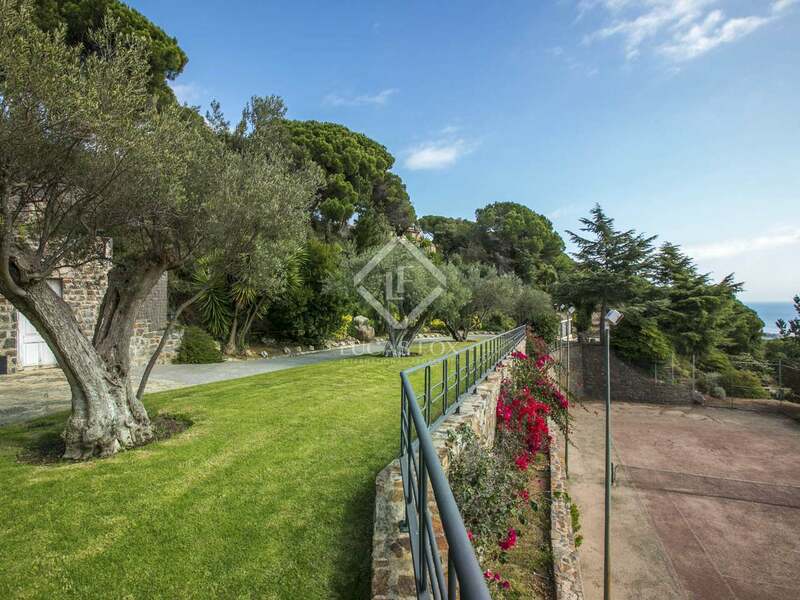 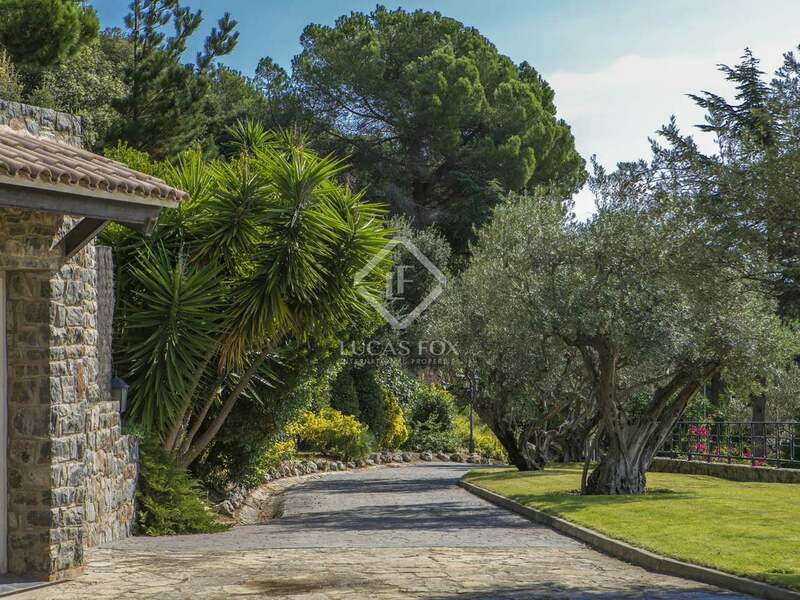 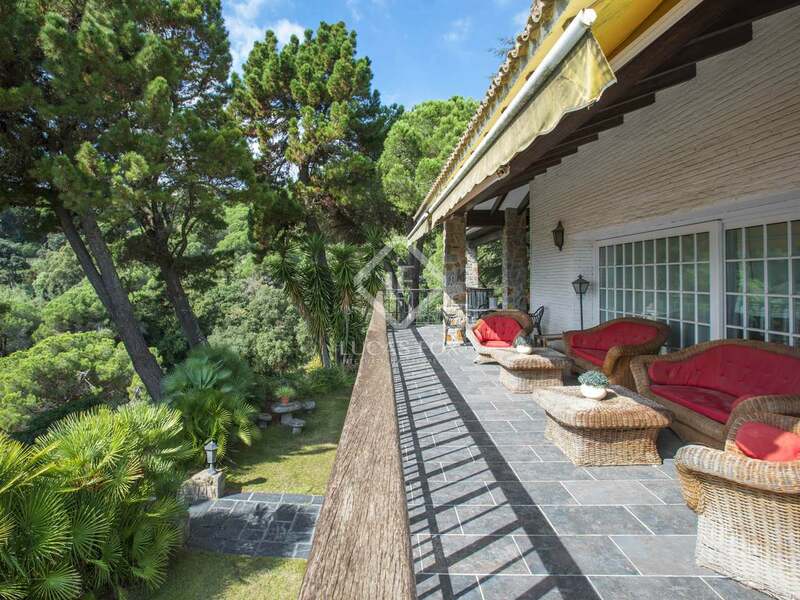 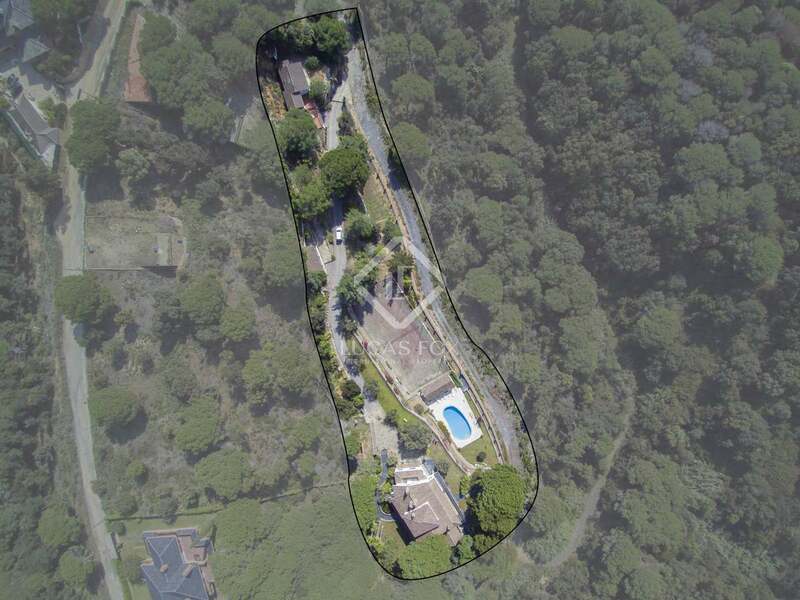 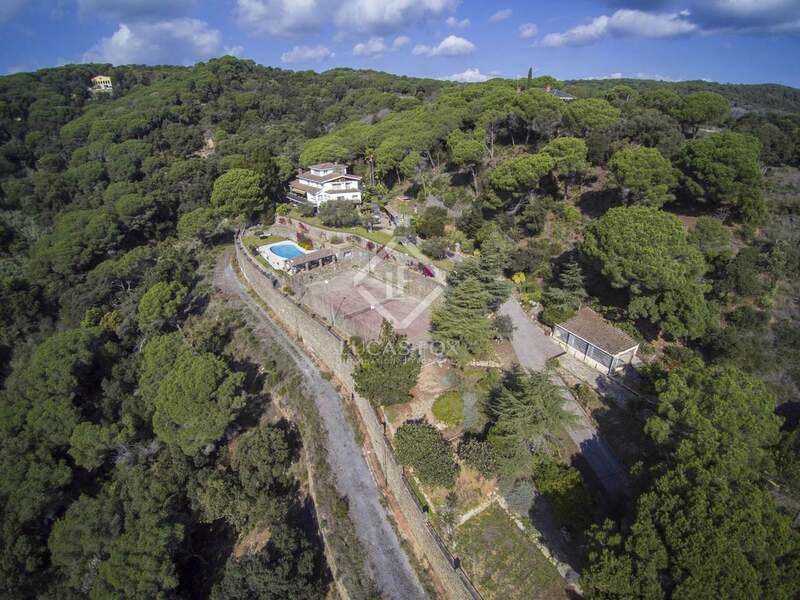 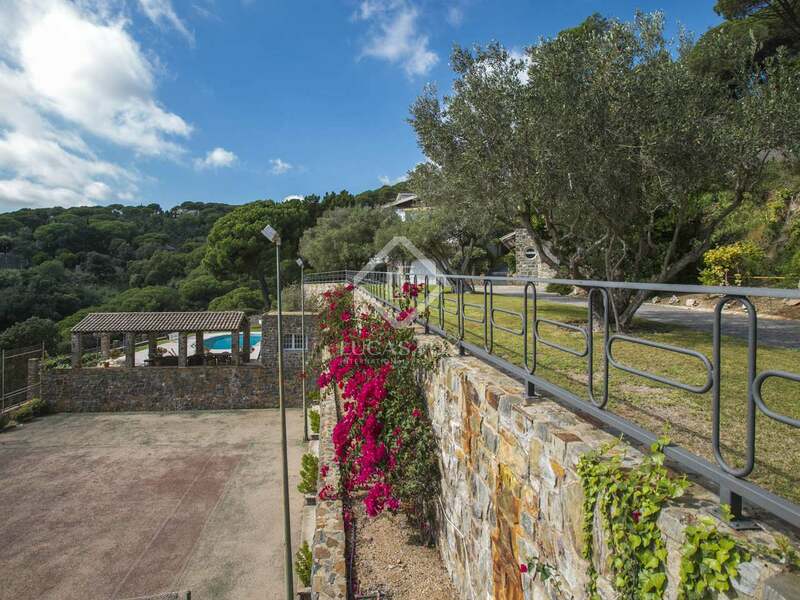 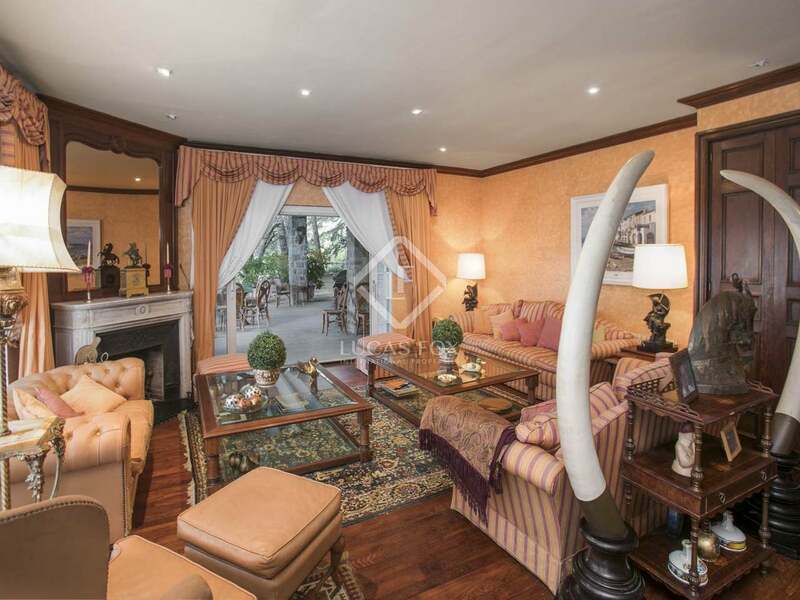 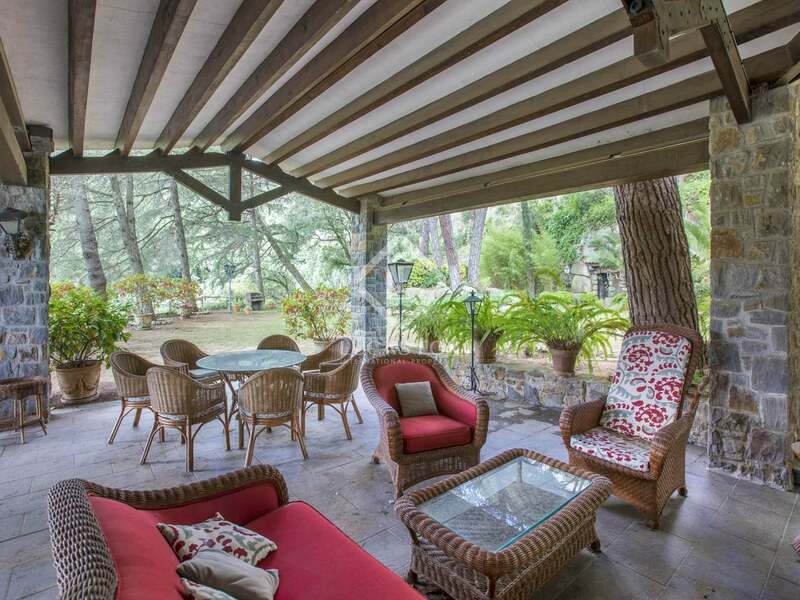 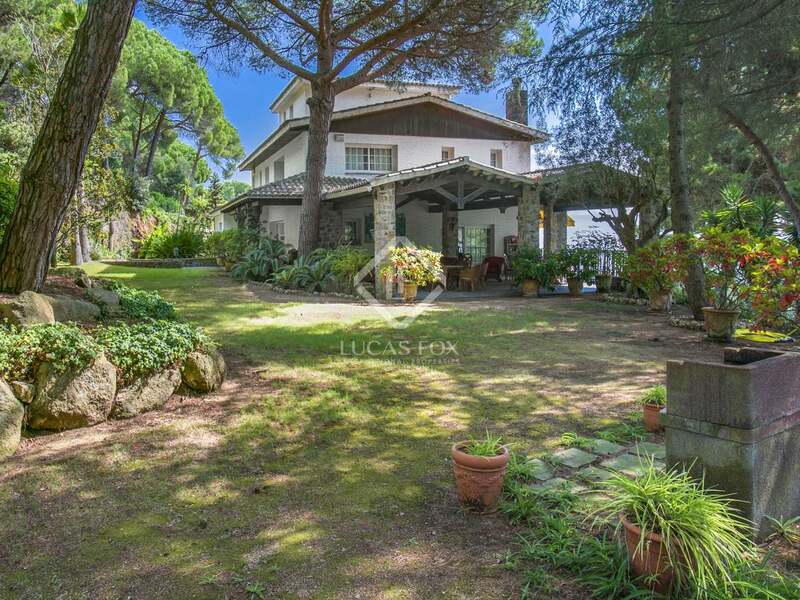 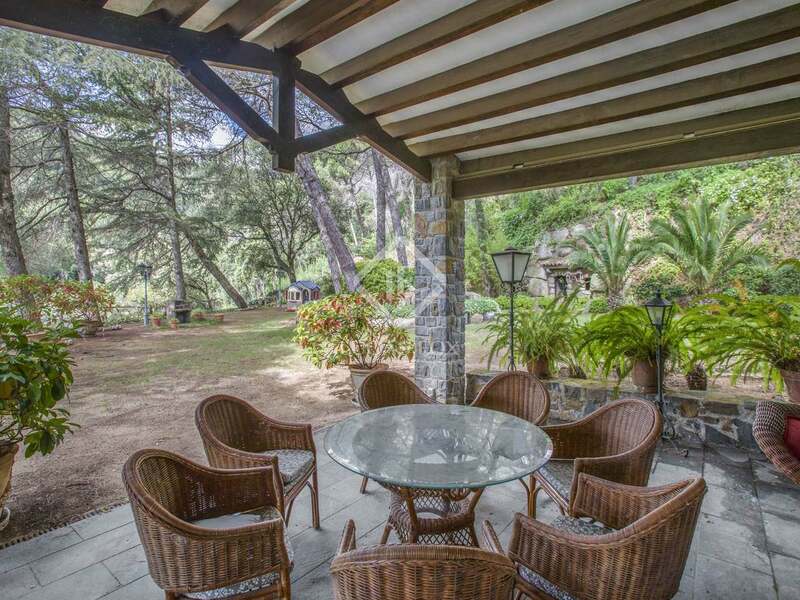 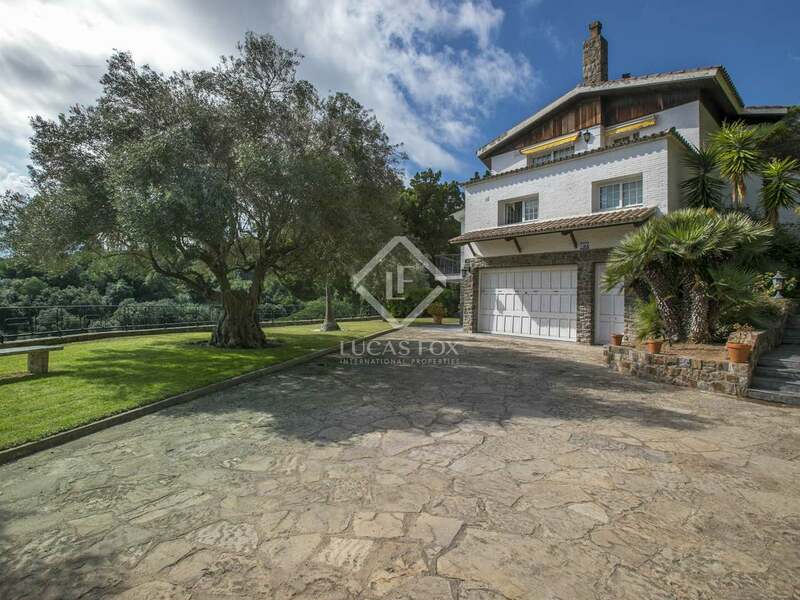 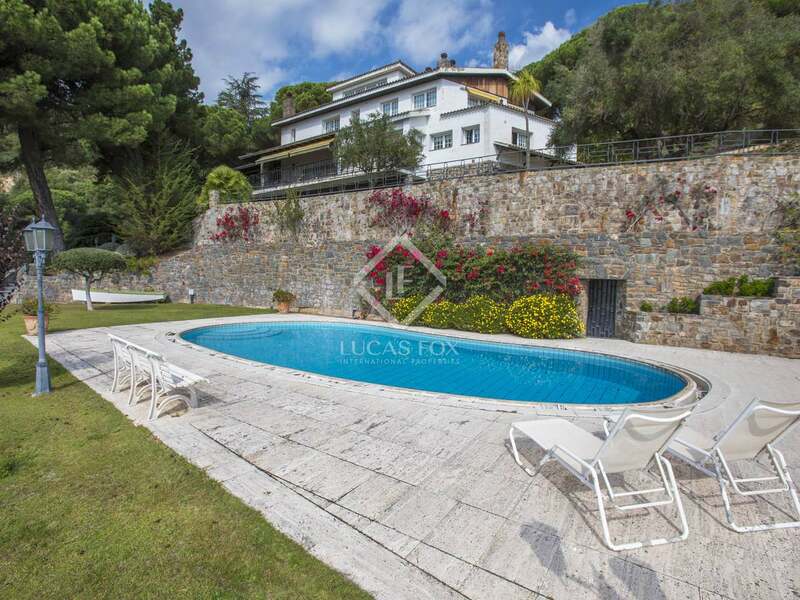 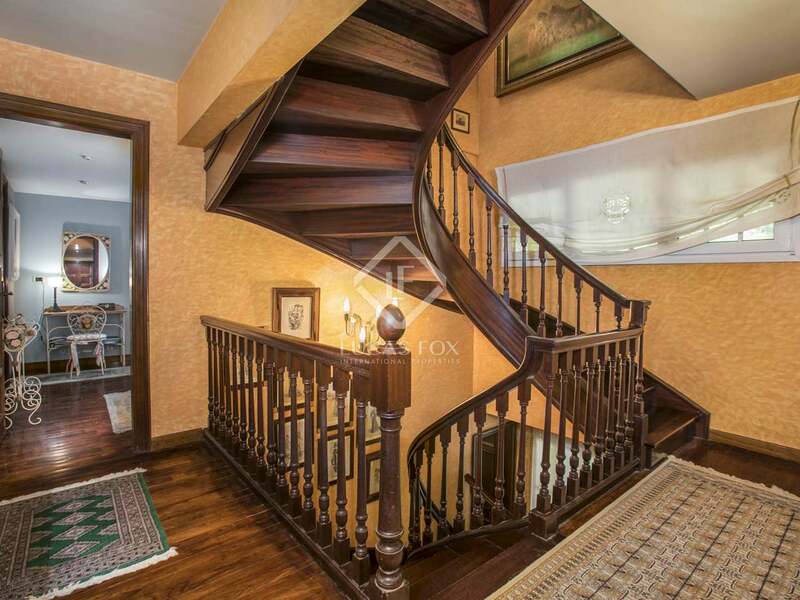 Estate for sale located a 5-minute drive from the centre of Sant Andreu de Llavaneres with all necessary amenities, close to restaurants, a golf course and a natural park, 10 minutes to the port, the train station and the beach, 40 minutes from Barcelona town.